As a former legal adviser to the Illinois Gaming Board (IGB), Bill authored much of Illinois’ gaming regulations and advised the IGB and the governor’s office on all aspects of gaming law and regulation. Bill draws upon this and his other government experience to counsel clients in gaming and other industries that have regulatory oversight. Bill guides gaming industry companies, suppliers and investors in navigating complex gaming laws. He is regularly called upon to assist clients applying for gaming licenses in jurisdictions across the country. In addition, he regularly defends gaming licensees in disciplinary proceedings and has successfully enjoined regulators from revoking such licenses. Bill also works with gaming regulators and lawmakers to craft new and revised gaming regulations. Bill counsels clients on promotional sweepstakes, contests, fantasy sport leagues and charitable raffles, ensuring that such programs comply with state and federal laws and do not constitute illegal gambling. Additionally, Bill regularly litigates in administrative hearings, trial courts and appellate courts. In addition to the IGB, Bill’s experience in Illinois includes representing clients with the Illinois Racing Board, the Illinois Department of Public Health, the Chicago Department of Public Health, the Illinois State Board of Elections, the University of Illinois, the Illinois Department of Central Management Services, the Illinois Secretary of State, the Illinois Department of Revenue, the Illinois Department of Agriculture, the Illinois Department of Financial and Professional Regulation, the Illinois Comptroller, the Cook County Department of Revenue and numerous local municipalities. He has also represented clients with government agencies outside of Illinois. In addition, his litigation experience includes acting as lead counsel in multiple state and nationwide class actions, and handling commercial and regulatory disputes between competitors. Prior to joining Fox Rothschild, Bill was a partner at Nixon Peabody (previously Ungaretti & Harris). Bill was also Acting General Counsel and Legal Counsel to the Illinois Gaming Board for over seven years. 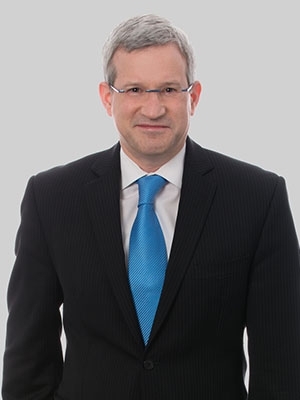 Early in his legal career, he was Assistant General Counsel to the Illinois House of Representatives and the judicial law clerk for the Honorable Aaron Jaffe in the Chancery Division of the Circuit Court of Cook County.